In the single biggest one-day drop since September 2015, WTI today tested $50.30 in afternoon trading following the latest EIA storage report which saw US crude inventory levels reach a record of 528.4 million barrels. 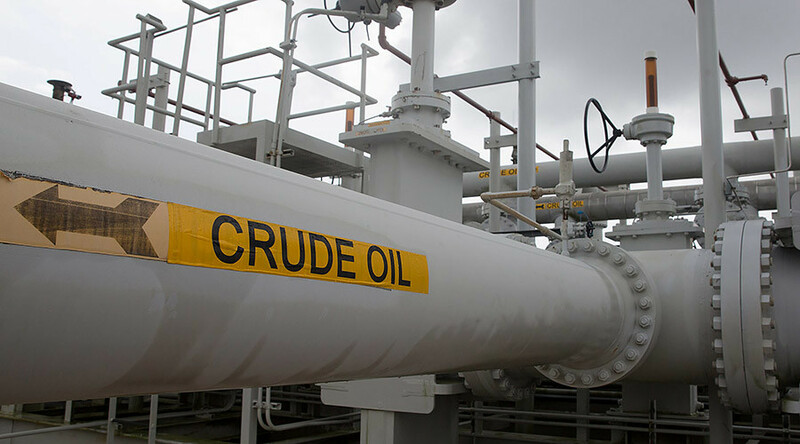 In light of reports that OPEC is sticking to its agreed production cut, long positions had filled out in recent weeks off the back of the rally which began back in November 2016 following the announcement of both OPEC and non-OPEC production cut deals. However, this latest fundamental data from the EIA showing a build of 8.24 million barrels has hammered long positions at a time when many were hoping for a breakout above the resistance level at $55, despite persistently building inventories week-on-week. Significant draws on petroleum products and boosted imports on the West Coast of 4.6 million barrels have provided some bullish news for the market to offset stubbornly high shale production in the US, but for now, it appears the resistance level will hold below $55. Given that long positions for April and May WTI contracts now appear to be greatly over-extended, volatility may become the order of the day as traders liquidate their long positions and regroup.